Splitting, or viewing a person as “all good” or “all bad”, is a mental health issue that can begin as early as infancy. For a baby, part of solidifying their ego includes figuring out “good” and “bad”. They identify their needs being met as “good”, and their needs not being met as “bad”. Over time, most children are able to integrate those two ideas and see both the good and bad in themselves and the people around them. For those that come from an invalidating environment and are never taught to combine the concepts of good and bad, they develop black and white thinking and view a person as all good or all bad. As this thinking continues to be used and reinforced it becomes more of an issue. Those with BPD Splitting may feel like there is no hope for change, but there is a way for them to regain the ability to be stable within themselves and their relationships. What is BPD and Splitting? "Those with splitting behaviors evaluate any relationship, experience, situation, and event as either good or bad but never both." 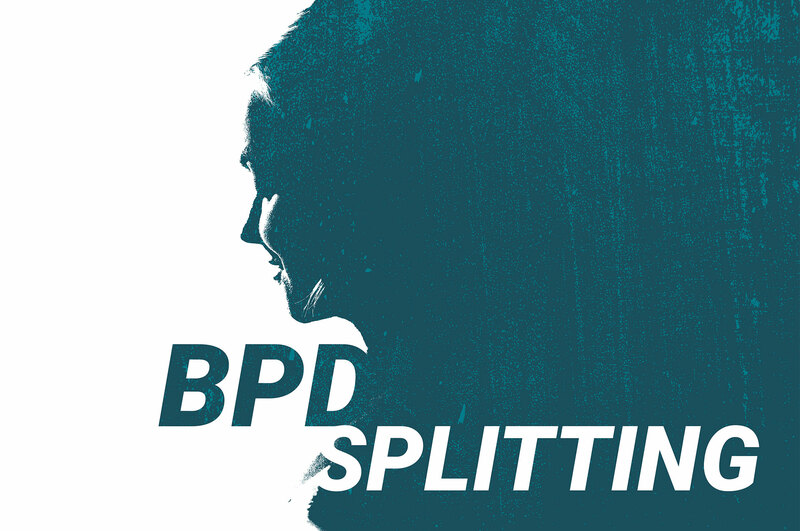 Borderline Personality Disorder is closely tied to splitting because people with BPD tend to get dysregulated quite easily, resulting in extreme actions. If you are predisposed to dysregulated emotions and you have failed to learn how to properly regulate yourself then it further perpetuates into all or nothing thinking and splitting. Everything becomes very compartmentalized as good or bad, this is often a tactic used to manage their anxiety; they feel if they can put a clear label of good or bad they can avoid the effort of analyzing how they feel about something that contains both aspects. Splitting is characterized as extreme black and white, good or bad, all or nothing thinking. Those with splitting behaviors evaluate any relationship, experience, situation, and event as either good or bad but never both. What life problems does BPD Splitting cause? "If we are unable to live in middle ground where there is room for mistakes and imperfections, then our relationships and self-esteem suffer." Young adults with Borderline that tend to split often idolize and then devalue people in their life. When they see a flaw in someone they are very quick to label them as bad and quickly cut them out of their life. As this pattern of unstable relationships continues it affects the way that they view themselves, as they devalue their own worth they often become very isolated. The inability to maintain healthy relationships with others caused by BPD splitting intensifies as one reaches adulthood. At this stage in life it is common that the family relationships have been damaged or broken. Independent living is less attainable as they are more likely to dropout of school, quit their job on a whim, and get evicted from their living situation. Receiving these negative outside messages combined with their internal need to achieve perfectionism in order to avoid labeling themselves as bad, is a perpetuating downward spiral that brings about worthlessness and loneliness. This sense of hopelessness can often lead to the following activities. As humans we all crave and desire connection. If we are unable to live in middle ground where there is room for mistakes and imperfections, then our relationships and self-esteem suffer. Her emotional fluctuations were evident in her interactions with OPI staff as well, switching between “I really trust this staff member” to “I don’t want anything to do with that staff member.” She attended a volunteering event and had an issue with something that happened so never attended the weekly volunteering events again. "By implementing DBT skills she is now able to regulate her emotions better and can bring herself back to baseline relatively quickly." We quickly realized that she split with her parents, dad was all bad and mom was all good. Throughout treatment this relationship was addressed and she became able to see both parents as having good and bad qualities. By implementing DBT skills she is now able to regulate her emotions better and can bring herself back to baseline relatively quickly. She’s maintained more stable relationships since arrival and improved self-esteem. Her self-harm, substance abuse, and suicidal ideation greatly decreased over the course of her treatment experience. She recognized that she wanted to continue improving herself, but was excited to go back home to continue her improved relationships with her parents. Everyone is unique in the way that their struggle with BPD splitting came about and the damage that it has caused. At OPI we address those specific personal struggles and adjust the focus and duration of treatment to best meet individual needs. Below is an outline of some of the most effective treatment techniques for helping someone achieve healthy and lasting relationships. Dialectical Behavioral Therapy (DBT) is the main thing that we use at OPI to treat BPD Splitting. DBT is specifically geared toward helping splitting because it takes their emotions and rational mind and brings the two together. It’s all about using AND to bring together the two opposing views. Examples of AND statements and thinking. I’m in a relationship I really care about him, he’s really wonderful AND sometimes he doesn’t communicate as respectfully as I would like him to. The goal is for them to be able to see both of those opposing views together rather than discounting the positives and only focusing on the negatives or vice versa. The DBT Skills emotion regulation, interpersonal effectiveness and distress tolerance are key techniques for them to learn throughout treatment. OPI therapists and staff aim to build healthy relationships with participants by helping them recognize their thinking and giving them space to change. 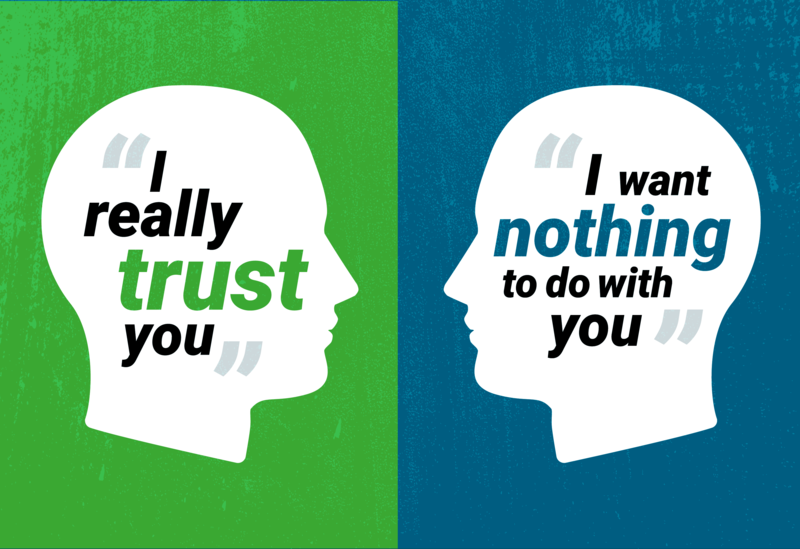 This may sound like “I know you are seeing me as bad and you’re upset at me, but I’m still here and present for you and I still care.” These modeled relationships then spread to family and friend interactions. Community integration is about getting them among others and experiencing relational successes. Breaking down those communications after the interaction can be very helpful. As we do this, one strategy we commonly use is coping ahead. This involves analyzing an interaction and then identifying a potential future negative situation. After identifying we move to understanding that it could occur and planning the appropriate reaction in the scenario. This allows someone to avoid acting impulsively in the moment and maintain the relationship. Validation is a fundamental component in the healing process. A big driving factor in the development and progression of BPD splitting is caused by lack of validation. Just as solving a dietary issue requires consuming the deficient vitamins or supplements, people with BPD splitting need validation. If someone with BPD splitting does not receive validation then it is really difficult for them to take in feedback from others. If we can understand their experience and show them we understand then it opens the door for us to offer an alternative perspective. BPD splitting can cause isolation, making someone feel all alone in their struggles and that there is no way out. There is hope for a better tomorrow! OPI has seen the powerful change occur when someone is given coping tools and validation. We work with young adults who are usually experiencing negative BPD splitting consequences.